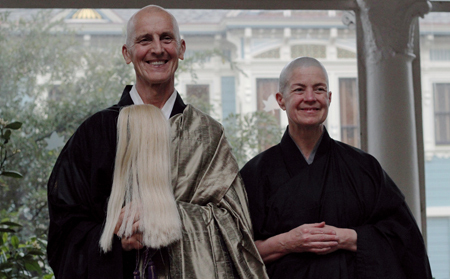 On January 5th, 2013, Djinn Gallagher was ordained as a Soto Zen priest by Senior Dharma Teacher Ryushin Paul Haller. Congratulations to Djinn Gallagher! From left to right: Senior Dharma Teacher Ryushin Paul Haller, Djinn Gallagher.